Fears that Typhoon Francisco could cause severe disruption to this weekend’s Japanese MotoGP clash at the Twin Ring Motegi appear to be diminishing. Strong winds and heavy rain are still anticipated for the penultimate race of the season, but nothing that could severely disrupt this weekend’s proceedings, with Typhoon Francisco rapidly losing strength as this week has drawn on. The International Race Teams Association (IRTA) and Doran have been constantly monitoring the potential impact Typhoon Francisco could have on what will be a pivotal race in the championship, with Marc Marquez leading Jorge Lorenzo by 18-points going into Sunday’s 24-lap race. With three fully subscribed classes in the Moto world championship, several teams operate out of temporary tented structures, but a strategy was in place to take them down quickly if required. 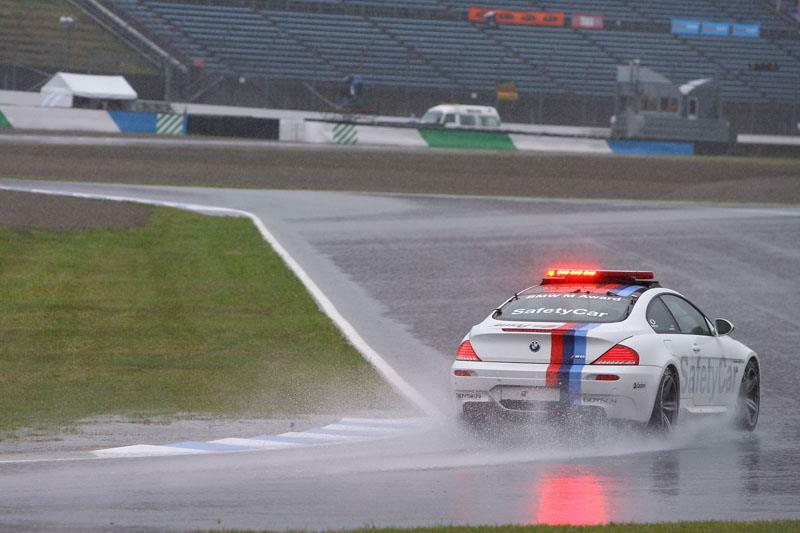 It was at the Twin Ring Motegi in 2009 that torrential rain battered the circuit and forced the cancellation of qualifying in all three classes. And in 2011 the Twin Ring Motegi was cancelled in its original April slot and run in October after a devastating earthquake and tsunami struck Japan.